When you think of large predators, especially in India, one usually thinks of a Bengal tiger. Last night I was watching National Geographic and they were talking about a species of bear in India and Sri-Lanka called the Sloth Bear. Although not actually related to the sloth, this bear, appears slow, has long curved claws like a sloth, and feeds primarily on ants and termites. What really caught my attention however was the aggressive nature of the sloth bear, and how it is known throughout India as one of the most dangerous animals in the country. The sloth bear is known to attack completely unprovoked, and usually charges humans on sight. The really scary part is that this particular bear always goes for the face. Attack victims usually have their noses, ears, lips, and eyelids torn off. Even survivors are usually maimed for life. This fearsome reputation no doubt is a direct result of the animals aggressiveness and tendency to maul the face, but sloth bears apparently also have a taste for limbs. Instead of killing the human victim outright sloth bears will gnaw, chew, and suckle on the limbs, while the victim is still alive and pinned underneath. Oddly enough sloth bears don’t actually eat the victims, but instead run away after a good mauling. Scientists say this is because sloth bears view humans not as prey, but as predators, and that this behavior is also exhibited toward Bengal tigers and Indian leopards. In the Indian State of Madhya Pradesh between 1989 and 1994, sloth bears killed 48 people and injured 686 others. In the Indian State of Chhattisgarh between 1998 and 2000, sloth bears attacked 137 people and killed 11. Now, there are 28 states and 7 territories in India, and over one billion people. 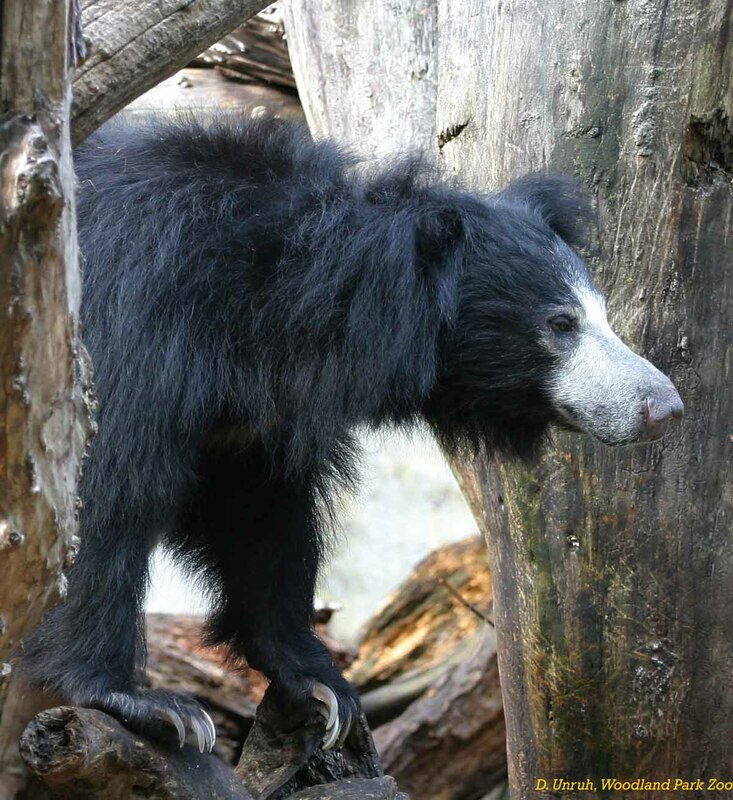 Though the sloth bears range is limited due to habitat loss, and the fact that they prefer lower, heavily wooded areas, one can still imagine that the number of sloth bear attacks on humans per year is probably pretty high, just based off of those numbers. Considering that India now has over a billion people it's not really hard to imagine that with such a plethora of deadly animals that number could be accurate even today. Especially considering that rural India is still very much 3rd world. Lacking modern emergency services, or even communications and transportation systems, one can easily see how someone in India could die from an infection or broken leg, let alone a wild animal attack. I don't know where I'm going with this, and am really just thinking out loud. You know whats really funny though? I actually think about stuff like this all the damn time.